The Montville Education Foundation, Inc. (MEF) established in 2008, is one of 90 education foundations in Connecticut. Since its inception, the Foundation has labored to raise money to support exemplary education programs throughout the entire Montville community. In essence, we have become the conduit through which our community can immediately and positively feel an impact. Contributions made to the Montville Education Foundation, Inc. remain in our community to enrich the lives of all residents. 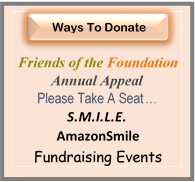 And because we are a non-profit, 501 (c) (3) organization, contributions are tax deductible to the full extent of the law, and donors are issued statements for tax purposes. The MEF Board of Directors represents a broad spectrum of the community, and is lead by an Executive Committee. The Board cooperates with, but works independently from the Montville School District, The Montville Board of Education, all schools public and private, the Town of Montville, and the community at large. MEF is an affiliate of The Connecticut Consortium of Education Foundations. The Foundation supports education projects and programs in the Town of Montville through the MEF Grant program. MEF will commit its support in community, educational and cultural arts initiatives that go beyond town budgets that are relevant, creative, effective, and inspiring and meet the demanding requirements of the 21st century. Proposed projects and programs should have a definable value to the community. Grant applications are accepted annually in May and October. How much does the Foundation award in grants? MEF proudly awards up to $10,000 in grants a year. Why should I donate to MEF? I already participate in my school’s PTO/Booster Club. It’s important to do both. The PTO’s and Booster Clubs play critical roles in raising money for immediate, campus specific needs and providing parent volunteers to help teachers and administrators be more effective. The Montville Education Foundation, Inc. on the other hand, raises money for the “bigger picture” enhancements across the district and the entire community including programs that enrich and expand the learning environment. MEF works diligently to allocate funds where they will have the greatest impact. Donors may contribute to the Friends of the Foundation, MEF’s year-round sustaining support network. The Board of Directors orchestrates a variety of successful fundraising events throughout the year, including the annual “Tee it up for Education” Golf Tournament.